Population Foundation of India is a national non-government organization at the forefront of policy advocacy and research on population, health & development in the country. It leads advocacy efforts and works as a think tank dedicated to promoting and advocating the effective formulation & implementation of various policies and programs in the country. 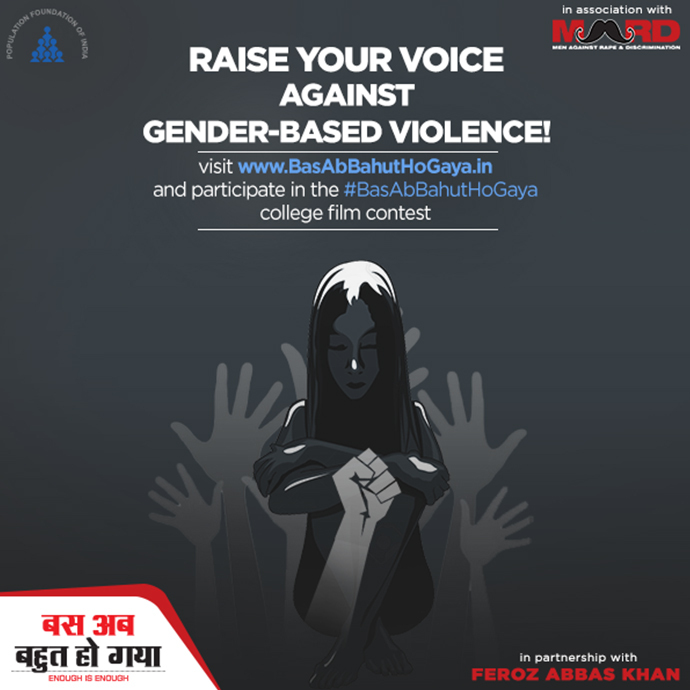 To launch the ‘Bas Ab Bahut Ho Gaya – Enough Is Enough’ Digital Campaign given the high levels of gender-based violence in the country. To assess the role of celebrities and non-celebrities in the Digital Campaign on a Social Issue like this. To run a complete digital campaign for this extremely important cause, we decided to engage all platforms, specifically YouTube. We decided to release 6 different films on YouTube. 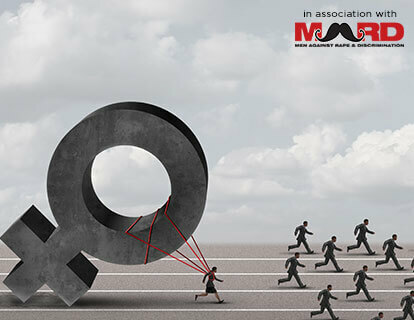 Of these, 3 are to be focused on celebrities and the rest 3 are to be focused on common people and how they are affected by gender discrimination, highlighting their approach towards the issue. 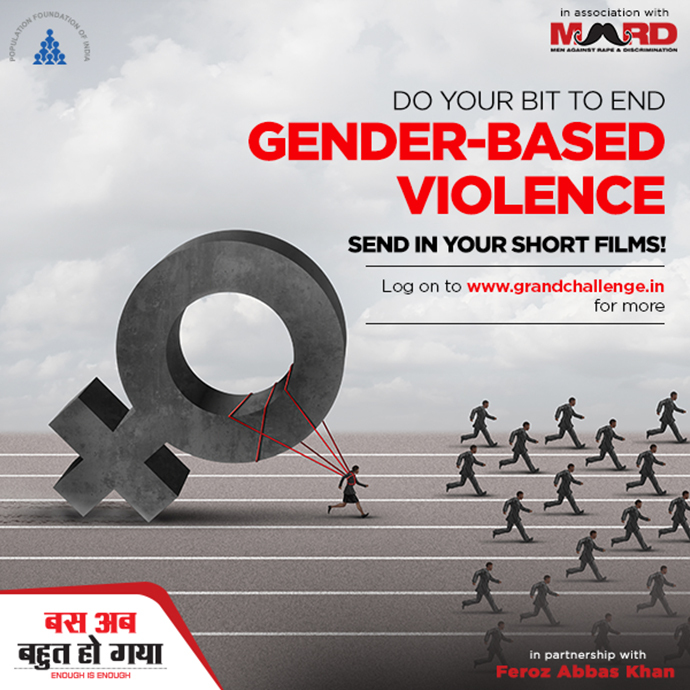 We formed an association with MARD, an initiative by Farhan Akhtar, and announced a nation-wide filmmaking contest for college students. The strategy behind this was to engage youth as well as instill important gender-oriented values amongst the new generation. The 3 best films selected by the jury would be gratified and a hosting of viewers’ choice award would be held on the campaign microsite. Since artists tend to engage the masses, we organized a music concert, Lalkaar, and engaged artists like Farhan Akhtar, Armaan Malik, Harshdeep Kaur, Papon, Salim Sulaiman, and Sukriti & Prakriti. For this initiative, we devised a sustained 8-10 months’ communication campaign and we launched a microsite, a promo video, celebrity films, and common man’s films. 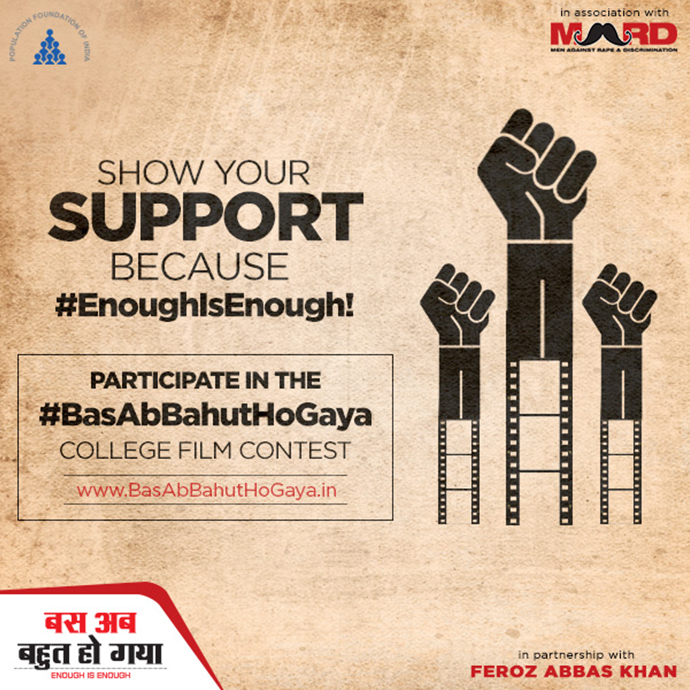 We formed an association with MARD, an initiative by Farhan Akhtar, and announced a nation-wide filmmaking contest for college students to involve the power of the youth in the campaign. The premise was that the 3 best films selected by the jury would be gratified and a hosting of viewers’ choice award would be held on the campaign microsite. We also rolled out 6 different films, 3 of which revolved around celebrities who have fought for gender equality and the other 3 spoke about the common people of India. Story of Vidya Balan & her father, P.R. Balan: We released this film on the occasion of Father’s Day, and it reflects the actress' rapport with her father and how it shapes her beliefs. Story of Sania Mirza & her father, Imran Mirza: We released this film in the week of Father’s Day, and it reflects the tennis player's childhood and how she was brought up in a world of gender equality. We also organized a music concert, Lalkaar, to spread nationwide awareness about gender inequality. The concert happened on November 21st, 2017 at Bandra, Mumbai, and artists such as Farhan Akhtar, Armaan Malik, Harshdeep Kaur, Papon, Salim Sulaiman, and Sukriti & Prakriti came to join the movement. The campaign has received phenomenal response across digital media. The hashtag used has gotten impressions in several millions on YouTube, Facebook & Twitter platforms individually. The film fraternity has played an important role in bringing about this result.